You can help solve a cold case. Do you have information a cold case?? Click here to see our open cases. 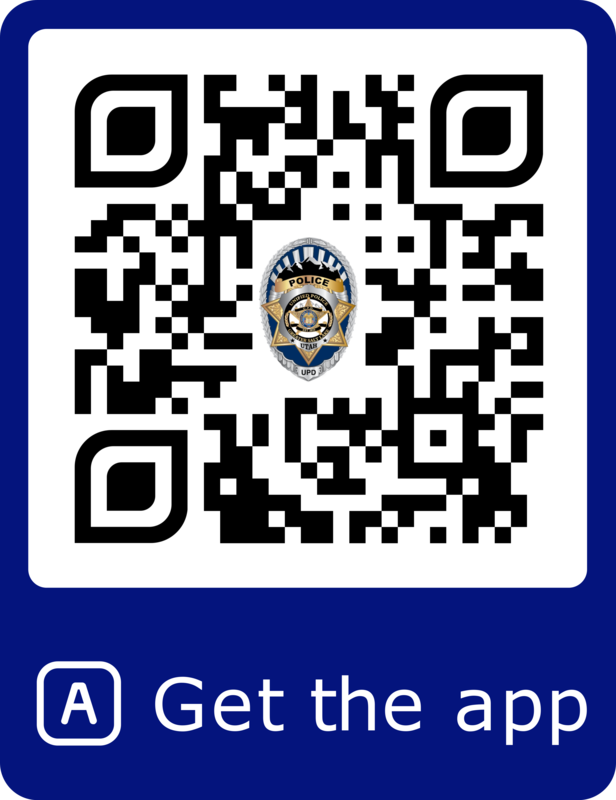 Did you know that Unified Police has our own mobile app? Submit anonymous tips, contact your local School Resource Officer, document your personal property, and more. We are updating and adding features regularly. Available for Apple devices in the App store and Android devices in the Google Play Store. Download it today! Millcreek, UT – In an effort to promote safe driving through the holiday season, the Unified Police Department (UPD) will be conducting an Administrative DUI checkpoint on, starting December 28, 2018 from 9:00 pm until 2:00 am. Utah law requires that DUI checkpoints be published in advance. With this public notice, UPD hopes Utah drivers will make safe, alternative plans to prevent impaired driving. Kearns, UT – On May 5, 2018 at approximately 6:30 am, Unified Police Department (UPD) Kearns Precinct officers were dispatched to a shooting at 5363 West 5150 South. On arrival, they located a 29-year-old male who had sustained two gunshot wounds; one in the neck and one in the lower abdomen area. 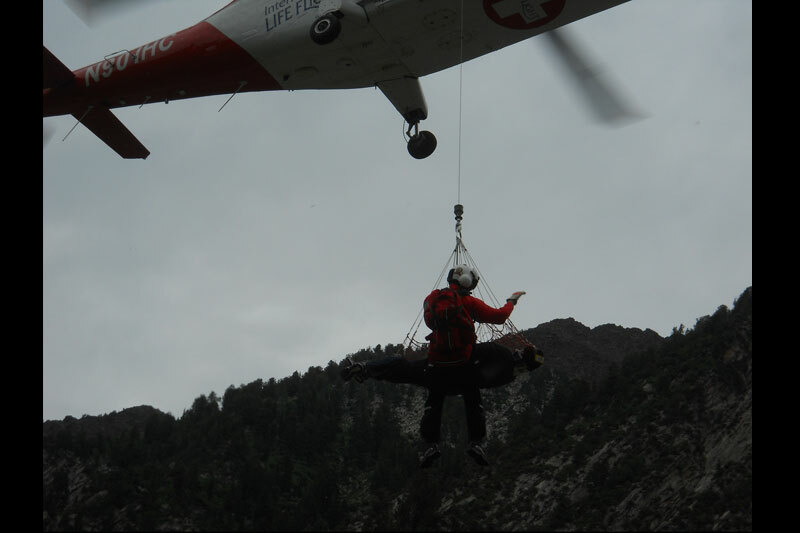 The male was taken to a local hospital in critical condition. He is currently still in the hospital and improving in condition. Investigators believe the shooting was a result of an argument over money owed by the victim. Immediately following the shooting, it is believed the suspects fled the scene in a Chrysler Sebring which was later recovered at 5332 South Crockett Drive. The house was cleared and no suspects were located. The Sebring was held and searched for evidence. Over the last few days, UPD Detectives from Kearns, Violent Crime Unit (VCU), Major Investigations Unit (MIU), and Metro Gang Unit (MGU) searched vigorously for the people involved in the shooting. Through the investigation, two shooters were identified: Robert Phillips and Dustin Blackner. On the night of May 8, Blackner was located at 3084 South 200 East, South Salt Lake, UT. He was observed leaving this house and was taken into custody without incident. On the afternoon of May 9, Phillips was located at 5423 Mountain Men Drive, Kearns, UT. When it was confirmed that Phillips was inside this residence, officers surrounded the home, made announcements, and gained compliance from Phillips who surrendered peacefully. Both have been booked into the Salt Lake County Jail on pending charges and warrants unrelated to Saturday’s shooting. Riverton, UT – On May 3, 2018 at approximately 10 pm, Unified Police Department (UPD) Riverton Precinct officers received information of a large stash of marijuana in the basement apartment of 12480 South 2240 West. Detectives, patrol officers, and K9 from the DEA Metro Narcotics Task Force surrounded the home and began announcements for any occupants to exit. The sole occupant of the apartment, Elijah Webb, complied with officers and was detained. A search warrant of the apartment was served in the early morning hours of May 4. The search yielded 110 lbs. of marijuana, having an estimated street value $760,000, along with $46,750 cash. Elijah Webb was booked into the Salt Lake County Jail under felony narcotics charges; Manufacturing of a Controlled Substances (2nd degree felony) and Distribution of Controlled Substances (3rd degree felony). At the request of the other residents of 12480 S 2240 W, we are requesting privacy for them as they are not involved with and have no relation to Elijah Webb. 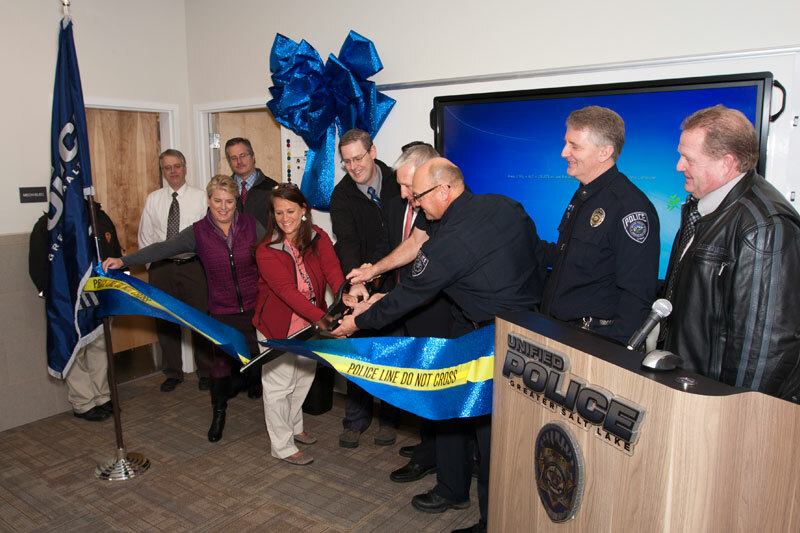 Herriman, UT – In partnership with the Jordan School District, the Unified Fire Authority, and University of Utah Health / Trauma Services, the Unified Police Department’s (UPD) Herriman Precinct is launching the “Be the First Hands / Stop the Bleed” training program, aimed at stopping blood loss due to traumatic injuries. Stop the Bleed is a national awareness campaign and a call to action. Stop the Bleed is intended to educate and encourage bystanders to become trained, equipped, and empowered to help in a bleeding emergency before professional help arrives. Each year the Footprinter's Association (a service organization made up of law enforcement officials and community leaders) sponsors a banquet honoring the most outstanding law enforcement students in nine area high schools of the Jordan, Canyons and Granite Schools Districts. 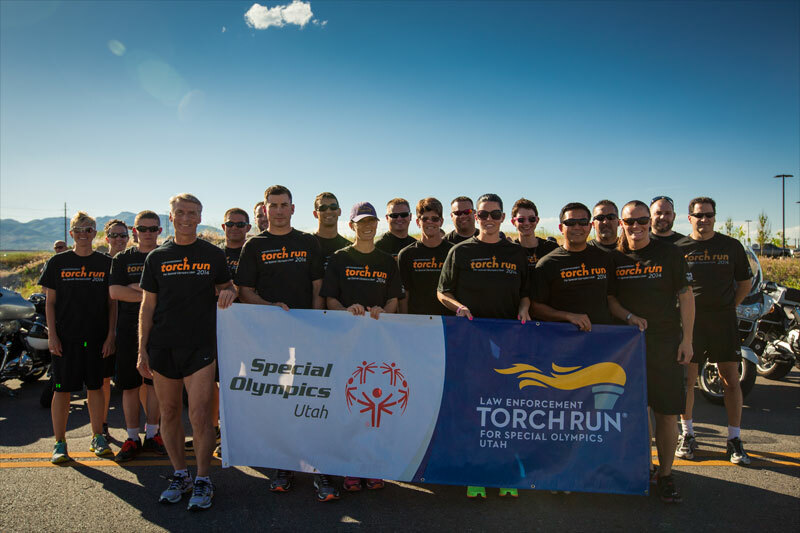 Law Enforcement service for these schools is provided by the Unified Police Department. These students are recognized for their outstanding academic accomplishments and their desire to pursue law enforcement as a career path. Sheriff Rosie Rivera will present each student with a plaque of achievement and address the audience. Students, parents, Unified Police and school district officials will be in attendance. The Salt Lake Footprinter's Chapter 3 will also present an award to the Law Enforcement Officer of the Year chosen by their organization. The Unified Police School Resource Program (formerly the Sheriff’s Assisting Youth Unit) began in September of 1975 and has become a valuable and integral part of the Unified Police Department’s crime prevention efforts. The SRO’s are assigned to Cyprus, Kearns, Olympus, Skyline, Taylorsville, Hillcrest, Riverton, Herriman and Providence Hall High Schools. The officers teach vocational law enforcement/criminal justice classes in the high schools and serve as a valuable resource to the students and staff. They also handle criminal investigations in their respective schools. The SRO has become a respected member of each high school faculty and developed a rapport with the students from elementary school through high school. It is with deep sadness Sheriff Rosie Rivera and the Office of the Sheriff learned of the passing of Salt Lake County Councilman Sam Granato. Sam served the community throughout his life but is known for his current service as a member of the Salt Lake County Council representing District 4. Sam is also known for his lifelong dedication to his family business as a purveyor for authentic Italian and Mediterranean food. Sam’s success came from his strong work ethic and a belief that customer service is what matters most. Sam brought that spirit in his approach as a Salt Lake County Councilman. 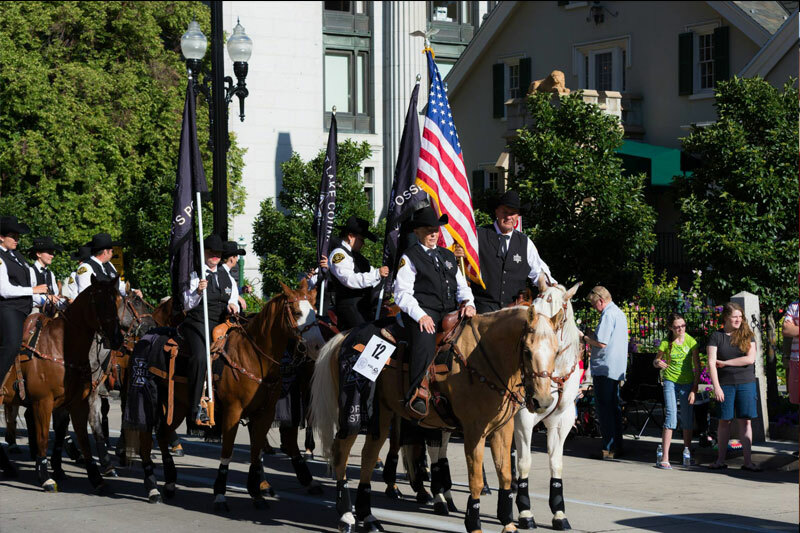 Sam was a devout supporter of law enforcement and Sheriff Rosie Rivera revered Sam as a partner and huge advocate for the Salt Lake County Sheriff’s Office. Although Sheriff Rivera worked closely with Sam, she also considers Sam to be a true friend. Sheriff Rivera feels the citizens and employees of Salt Lake County lost a great man. Sheriff Rivera admired Sam’s commitment to continue to work for the citizens he represented even through his battle to overcome cancer. Sheriff Rivera and the Office of the Sheriff wish Sam’s family well as they grieve the loss of a great man. The Media Services Unit of the Unified Police Department of Greater Salt Lake has created and produced an educational video for parents and students on school safety. Our goal was to show the consequences of making a threat to a school even if the threats were intended to be a joke or “funny” by a student. The Media Services Unit in collaboration with Granite School District produced this short but informational video to educate the public. We would like to recognize and thank the Kearns High School administration for the use of their school. We would also like to thank the local actors and students who volunteered their time and talents to this very important project. Magna, UT – At approximately 3 am this morning, Valley Emergency Communications Center (VECC) received a 911 call from an agitated male. The caller stated, “Tell your officers to back off, or I will shove this knife through her throat”. The unknown male on the line also requested to speak to a hostage negotiator. VECC transferred the call to the Unified Police Department (UPD) Dispatch Center. Not knowing who made the call, or if the threat was legitimate, and having no officers in the vicinity, UPD Millcreek officers were dispatched to the area of 3698 South 900 East (location of the phone ping). Officers did not notice anything out of the ordinary, other than a truck leaving the area. Officers were able to get the license plate of the truck before it left. At approximately 4 am, UPD received information that the West Valley City Police Department (WVCPD) was in pursuit of the same truck that was observed leaving Millcreek. The pursuit started at 5600 West 3100 South, continued west through West Valley and into Magna. During the pursuit through Magna, WVCPD officers deployed tire spikes to disable the truck and it eventually came to a stop at 2750 South 8400 West. A UPD Officer, who arrived to assist at the stop location, approached the vehicle and fired at the male inside the cab of the truck. Medical aid was rendered but the suspect passed away at the scene. The female who was also inside the truck was not struck by gunfire. She was transported and treated at a nearby hospital for injuries inflicted upon her by the male subject. The deceased male has been identified as 41-year-old Lonnie Marcel Bowen of Salt Lake City, UT. The Officer Involved Critical Incident (OICI) protocol investigation will be led by Salt Lake City Police Department. Unified Police Department is seeking volunteer chaplains. A Volunteer Chaplain is called to assist the department. The Chaplain Core consists of religious ministers from churches throughout the Sale Lake County area. 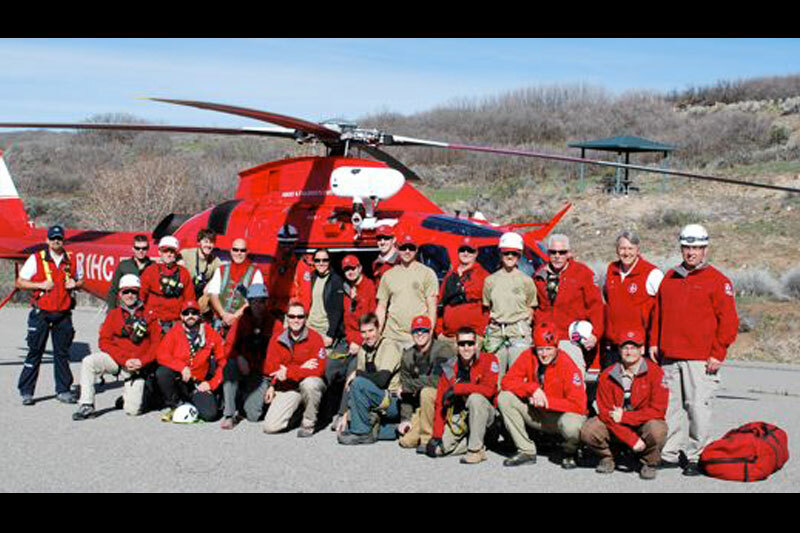 The Chaplain Core renders spiritual support and guidance in times of need for the community and the department. Follow link for more information. 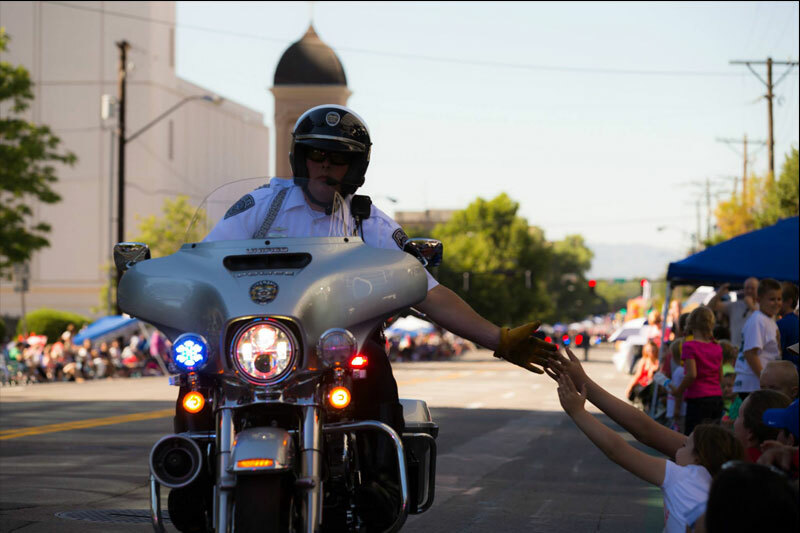 Salt Lake County, UT – In partnership with the Salt Lake Honorary Colonels, the Unified Police Department (UPD) Youth Cadet Program have been collecting children’s books to be distributed to all UPD precincts within Salt Lake County. The books will be housed in what would appear to be a large mailbox. Each precinct was challenged by Chief Deputy Shane Hudson to decorate the book box to the best of their abilities, and later to be judged by the Salt Lake Honorary Colonels. The Colonels will vote and announce the winners on Wednesday March 28, at 11 am inside the UPD / Sheriff’s Office Building, 3365 South 900 West. Members of the media are invited to see all the finished book boxes to be displayed at UPD Precincts. Sheriff Rivera and the Honorary Colonels will be available for the media during this time. Taylorsville, UT – At 1:15 am on March 24, 2018, Unified Police Department (UPD) officers of the Taylorsville Precinct received a call of a robbery at the 7-11, 3180 W 5400 S in Taylorsville, UT. The suspect wearing the bandana immediately brandished a black semi-automatic handgun. The other suspect produced a backpack and demanded money, cigarettes and a case of beer. They then made the employees and the lone patron of the store lay on the ground as they fled with an unknown amount of money or cigarettes and the case of beer. Both suspects appear to be approximately 5’10- 6’0 tall, and around 200 lbs. Detectives are asking for the public’s assistance in identifying the two suspects. Anyone with information is asked to call the Unified Police Department at 801-743-7000. Callers may remain anonymous and can reference UPD case #18-44462. Surveillance Robbery 7-11 March 18 from Media Services Unit on Vimeo. 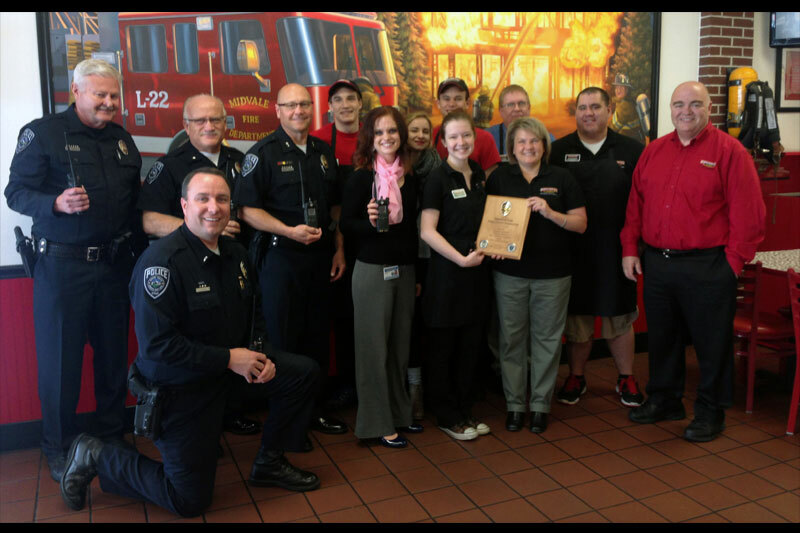 Midvale, UT – On March 18, 2018, Unified Police Department (UPD) officers from the Midvale Precinct were dispatched to a robbery that had just occurred at the Phillips 66 located at 8370 South State Street in Midvale, Utah. The lone suspect approached the clerk, pointed a firearm directly at her and demanded cash. After obtaining the cash he fled the business. He was observed getting into a dark colored sedan which looked like the bumper was falling off. Detectives believe the vehicle to be a Honda Civic or similar. This vehicle was last seen heading west on Princeton Avenue. He is described as a Caucasian male mid 30’s, heavy set, short scruffy auburn colored goatee or beard. He was wearing a camouflage jacket (possibly Newman Construction on back), black gloves and khaki colored pants. Detectives from the Unified Police Department Violent Crimes Unit and FBI Violent Crimes Task Force are actively investigating this case. Anyone with information is asked to call detectives at 385-468-9819. 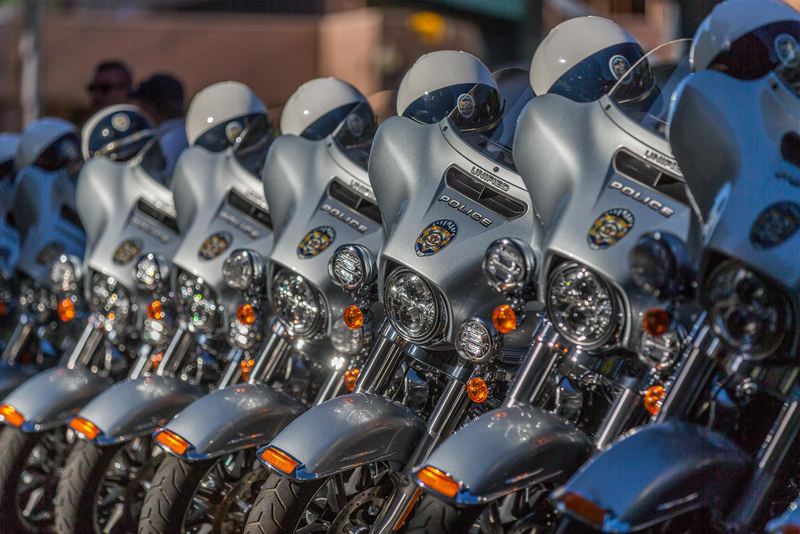 Midvale, UT – Over this last weekend, the Unified Police Department (UPD) Midvale Precinct and Violent Crimes Unit (VCU) have been investigating a kidnapping of a 30-year-old adult male, who had later escaped and called police. On the night of March 10, UPD Midvale Precinct officers were called by the victim who was reporting a theft of a security camera. The victim believed the suspects to be the upstairs neighbors in the complex in which they all reside. Police looked to question the upstairs neighbors, however they were not home. Later in the evening, the victim spotted the suspects outside of their apartment, having a smoke. Because of a past friendly relationship, the victim went to speak with the suspects, hoping to straighten the situation. When the victim went inside the suspects apartment, the door closed behind him and one of the suspects grabbed and held him with a knife to his throat. The suspects demanded the victim drop the theft case or else he would be killed. The victim was held in the apartment by the group of three suspects and later forced into an orange 2008 Cadillac CTS. While the car was driving, the victim was able to unlock a back door and jump from the moving vehicle. Luckily, the victim escaped with only minor injuries. On the morning of March 11, police found the orange Cadillac at the Wasatch Apartments in Midvale. All three suspects were taken into custody without incident. The suspect’s vehicle was impounded and a search warrant for evidence was served at the originating location (Marquette Drive). The suspects were interviewed and later booked into the Salt Lake County Jail on charges of Aggravated Robbery, Aggravated Assault, Aggravated Kidnapping, Theft, and Threats. Kearns, UT – On February 25, 2018, Unified Police Department (UPD) officers from the Kearns Precinct were given information about potential threats of violence aimed at a local school. A picture had been posted on social media site Snapchat, which showed a rifle in the suspect’s lap and a warning to “not come to school on Monday”. UPD Officers immediately gathered information and coordinated with Granite School District Police Department. Within an hour, the suspect was identified as a student of Thomas Jefferson Junior High School. Officers then responded to the student’s residence to interview him and his parents. It was determined that the gun pictured was an Airsoft rifle, and there was no immediate threat to the school. Based on the threat in the social media post, the student was charged with Terroristic Threats, which is punishable as a third-degree felony (Utah Code 76-5-107). He was left in the care of his parents and will await administrative action by Granite School District. It is the position of the Unified Police Department that all threats against schools, regardless of the nature, will be treated as real and investigated thoroughly. 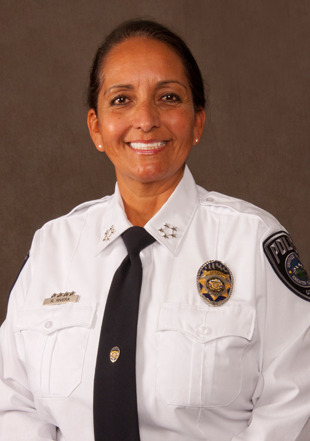 Sheriff Rosie Rivera, UPD Kearns Precinct members, and the Granite School District Police Department will be available for media questions, February 27, at 10:30 am inside the Unified Police Department auditorium. 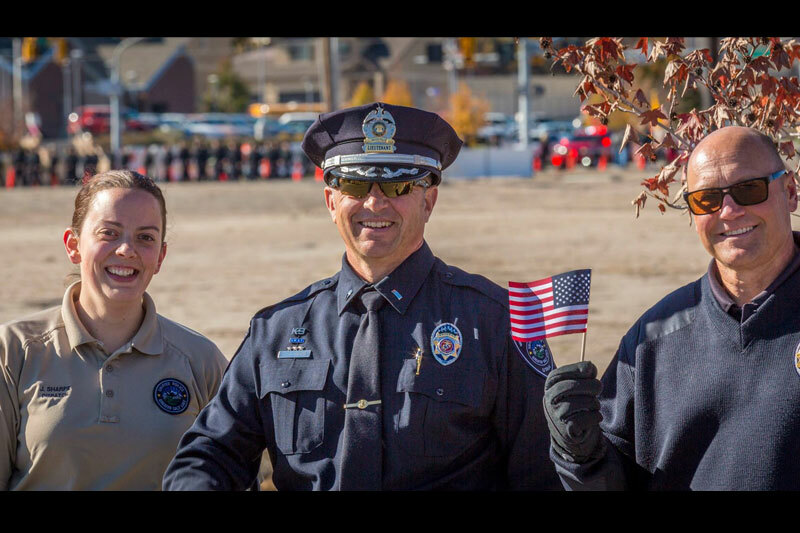 Millcreek, UT / Kearns, UT – On February 9, 2018, Unified Police Department (UPD) officers from the Millcreek Precinct were dispatched to a shooting at 3925 S. State St. Witnesses reported seeing and hearing several shots with a male being struck by gunfire. The 18-year-old male victim arrived at Intermountain Medical Center in Murray, UT with a non-life threatening gunshot to the leg. Through investigation, it was determined that an argument had ensued between two groups of associates, when one person produced a gun and started shooting. The shooter was identified as 19-year-old Elhelbawy Adam Idrees of West Valley City, UT. On the night of February 15, 2018, a UPD Kearns Sergeant conducted a traffic stop on a vehicle for speeding. The driver was immediately identified as the shooting suspect. Idrees was taken into custody without incident. He was interviewed by Violent Crime Unit detectives and booked into the Salt Lake County Jail on four counts of attempted aggravated murder and three counts of felony discharge of a firearm. Jon M. Huntsman Sr. was very dear to my heart as he was my biggest supporter and mentor. I am deeply saddened to hear of his passing. He was kind and devoted to helping others. He was a true example of integrity, honor and faith. I have cherished his advice and wisdom throughout the years. I feel blessed that he was able to attend my swearing in as Sheriff, it was apparent that he was not feeling well but he made it a priority to be there. I will always be grateful for his friendship and support. I am so blessed to have known him. My love and prayers go out to Karen, Markie and all the Huntsman family.